1 engraving : hand-coloured; 30.5 x 39 cm. 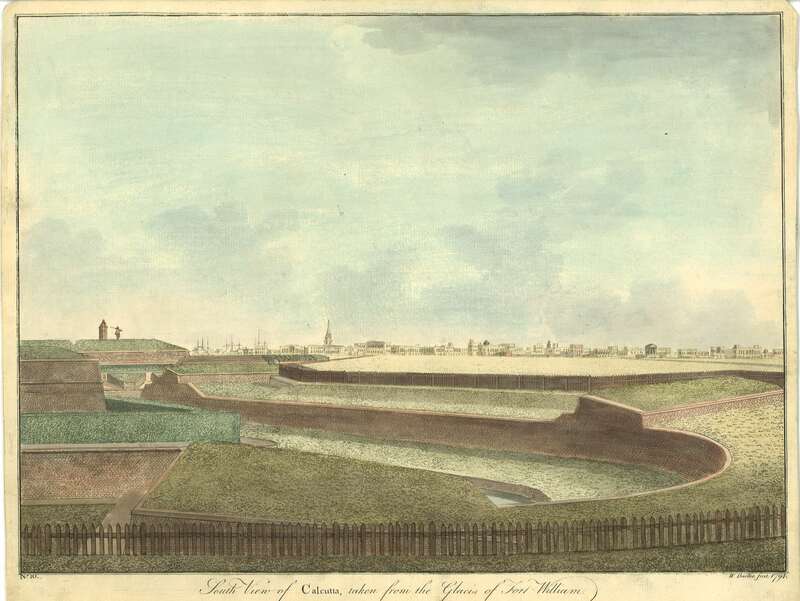 Titled, signed and dated below image: No.10 / South view of Calcutta, taken from the Glacis of Fort William / W. Baillie, fecit 1794. J P Losty in Calcutta, City of Palaces [London, The British Library, 1990] includes comprehensive topographical descriptions of Baillie's plates.